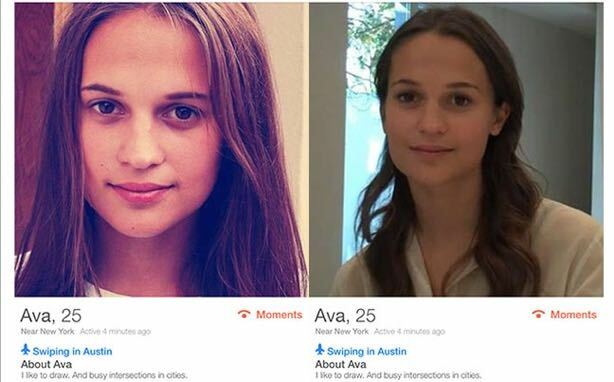 A Tinder profile for a woman named Ava at SXSW turned out to be a native campaign promoting the movie Ex Machina. Native advertising is a good thing for consumers because it will set the bar higher for quality content, said Adaptly co-founder and CEO Nikhil Sethi at SXSW on Sunday. Speaking on a panel about the future of native advertising, Sethi said that the rise of native and connected experiences means only "the best brands, the best products, the best services will win — there is great opportunity if we constrain the medium." Sethi pointed to a SXSW campaign in which a 25-year-old woman named Ava used Tinder to flirt with festival attendees. The woman’s profile turned out to be a spoof to promote the movie Ex Machina. "Is it okay if advertising is so native people don’t know it’s advertising?" he asked. If brands manage to get over the "creepiness line," then the experience can be "magical," Sethi said. Mitch Brandow, executive VP, engagement strategy and analytics, Energy BBDO, said that as we have more connected experiences, brands will have to focus on delivering more value and utility for their consumers. "Where we are headed is towards something that is a pervasive topic at South By this year — brands producing content and connected experiences that bring value to the consumer," he said. The term native advertising should be retired, Brandow said. "We should think about how we can build content and experiences that consumers actively want to participate and engage in," he said. Partnerships are important when it comes to creating native content, Brandow said. "Ultimately, the creative agency will evolve into the role of system architect," he said. "When you think about content and connected experiences, what we will really start to do is build connected systems. The notion of having a creative agency produce every piece of that content is challenging." Predicting content that consumers will find valuable will also become crucial for brands, Brandow added. As native becomes more prevalent — and the landscape more fragmented and connected — there will be a large amount of data to help advertisers create better content. However, transparency is key, particularly when it comes to Gen Z and the trend among some people who want to go off the grid, argued Jill King, SVP, marketing and partnerships, Cartoon Network and Adult Swim. "Native advertising as trickery doesn’t work for us or our audience. The best native advertising is creative and driven by transparency," she said. This article originally appeared on Campaign US. Follow the rest of PRWeek's SXSW coverage here.